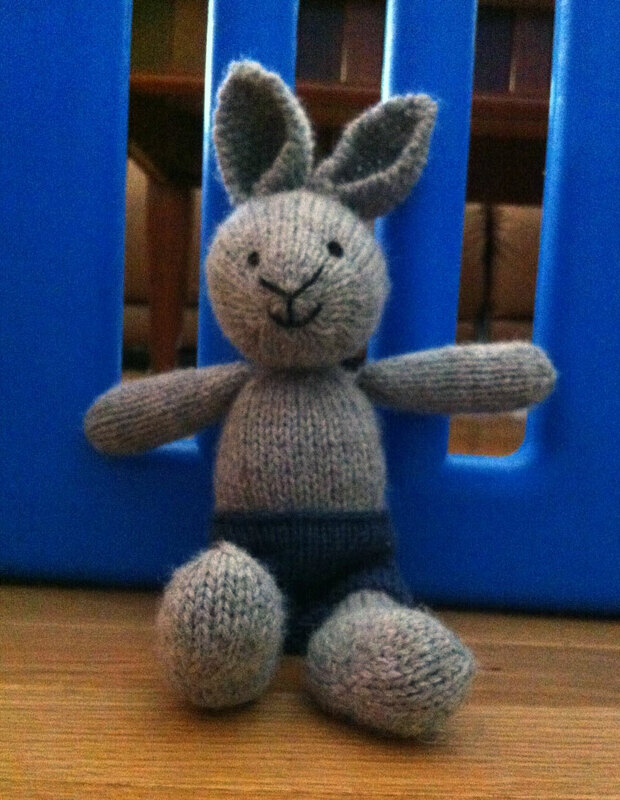 I talked about making this bunny before but didn’t have any picture to show you. 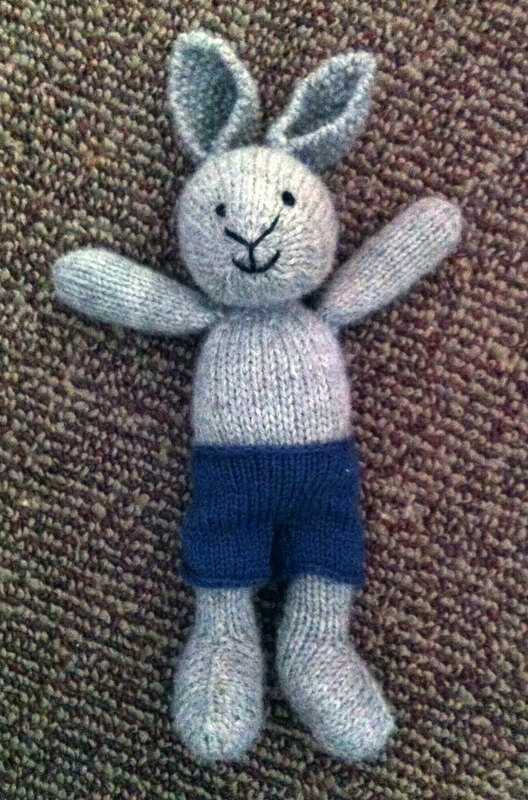 I used the pattern by Little Cotton Rabbits. It was a fun knit and the instructions were outstanding. Lots of pictures, hints, and tips. It was well worth it. Still shirtless but Bunny will be fully clothed…soon. 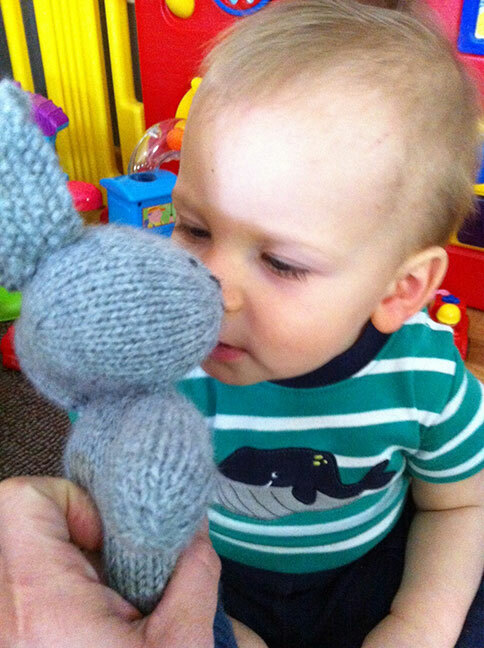 Bunny kissing our grandson’s nose. Bunny laying on the beach. He doesn’t have a shirt on so he’s ready for a swim. Looks like his eye needs some more work. Bunny sitting next to the fence. 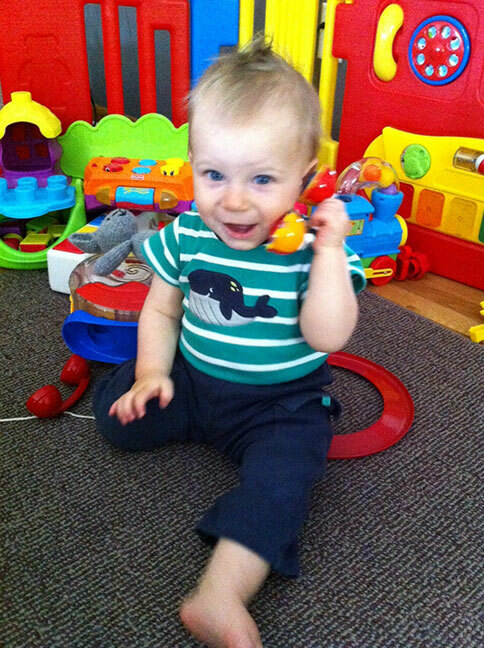 Bunny doing some daredevil trick while our grandson takes an important phone call.